Deciding which new mortgage products and services makes sense can be difficult, I’m here to help. Call Amansad Financial Today or get started by filling out or Mortgage Pre-Qualification Form. There are several factors to consider when making a mortgage decision. From terms and rates to flexibility and type of mortgage, I will assess your unique needs and present the best options. Choosing the right one could save you hundreds of dollars monthly, thousands in the long-term. An Open Mortgage – allows you the flexibility to pay off some or the entire mortgage at any time, without penalty. Interest rates are usually higher and are tied to the Bank Prime. A Fixed Mortgage – offers you the security of locking in your interest rate for the term of your mortgage, so you know exactly how much principal and interest you will be paying on the mortgage during the term. Terms range from 6 months to 10 years. Fixed rate mortgages offer some form of pre-payment, from 10% to 25% of the original mortgage balance each year, depending on the lender. If you wish to pay off your mortgage in full, there will be a penalty of either 3 months simple interest, or an Interest Rate Differential (IRD). The benefit of this mortgage is the rate is lower than an open mortgage, making it a more popular option if you have no plans to pre-pay it in full during the term you select. Variable Rate Mortgage – allows you to take advantage of today’s low Prime Rate. Most variable rate products are set below prime, terms range from 1 to 5 years. The terms range from 3 to 6 years. Payments vary depending on the product or lender you choose. In some cases you can fix your payments for up to 5 years, but the interest rate will fluctuate as the Bank Prime Rate changes. In other cases your monthly payments will fluctuate depending on how many times the Prime Rate changes during your term. Secured Line of Credit – allows you to access the equity in your home whenever you choose. Rates are tied to prime, usually slightly above prime. Required payment on the balance is interest only, making it a good choice where cash flow may be important. Lower interest rates compared to an unsecured line of credit. You may have a secured line of credit and a mortgage, if you have good equity in your home. 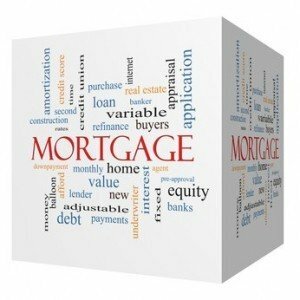 Second Mortgage – typically refers to a secured loan (or mortgage) that is subordinate to another loan against the same property. Private Mortgage – in this instance you don’t borrow from a bank, you borrow from another person or business. Vendor Take Back Mortgage – A type of mortgage in which the seller offers to lend funds to the buyer to help facilitate the purchase of the property. The take-back mortgage often represents a secondary lien on the property, as most buyers will have a primary source of funding other than the seller. Commercial Mortgage – similar to a residential mortgage, except the collateral is a commercial building or other business real estate, not residential property. In addition, commercial mortgages are typically taken on by businesses instead of individual borrowers for any one of our Mortgage Products or services.